This vest was worn by Vin Diesel during his role as the title character in The Chronicles of Riddick. 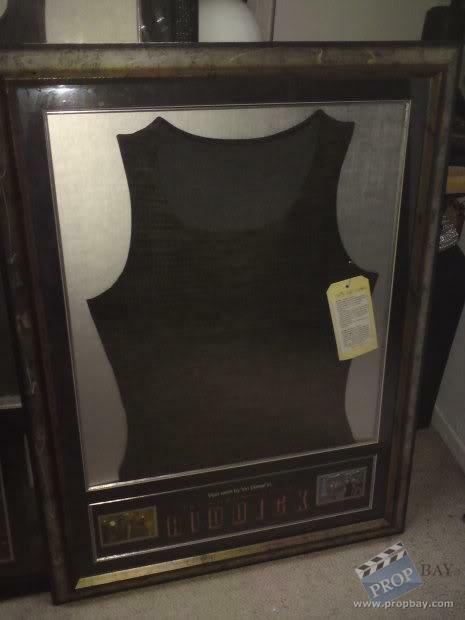 This vest was framed by the Prop Store of London and still features it’s original costumers tag attached to the vest stating which scenes it was used in. Added: 06-13-2012 - Viewed: 1533 times.